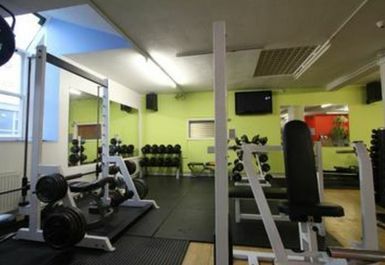 And get unlimited access to this gym and 1567 others. You will find the main entrance directly close to the Sainsbury's car park. We're located just above Sainsbury's . There is free parking for 1hr 30mins right in front of the gym. Studio Red Fitness, located in the heart of Shirley town centre, is a fully equipped gym and health club in Southampton, dedicated to helping you achieve the health and fitness results that you're looking for. The staff are all fully qualified, experienced and concerned about your health, fitness and motivation. We are a fully equipped multi-functional facility with friendly staff & friendly members. We have a full range of cardiovascular equipment, strength, free weights, fixed resistance, Boxing ring, punch bags, MMA facilities, Power plate, sauna, mirrored aerobic & spin studio, treatment room & loads of free parking. Easy to find. Quite small but lots of equipment. Quiet at the time I went 11am Saturday so was able to get on the equipment I wanted no problem. Friendly staff. Changing room not great as only one shower but did the job. Fantastic staff, could use some basic pictures on the machines just so you know how to operate them but the staff will help you and give you professional advice when ever you need it. Good range of gym equipment including variety of machines and weights. However, equipment and facilities (e.g. changing and shower facilities) were quite basic or dated. Gym equipment didn't have any instructions on use and no induction was offered by the staff. very friendly staff that don't hover over you so you can just get on with your routine. Had trouble finding it. Then no signs for the Gym at the parking entrance. Had to walk around the parking. Other than that, it was great! Friendly people, good variety of equipment and no queues.